Pete Devine joined the Math Department in the Fall of 2013. He moved to this area from Massachusetts, where he taught part-time at Middlesex Community College for fifteen years. Peter has been a high school math teacher, and a publishing executive; and since 1996, he has worked with teams of writers and editors to write curriculum materials for the major publishers of K-12 mathematics textbooks. 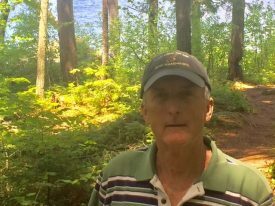 He and his wife Sharon have three adult children and seven grandchildren, and live on Newfound Lake in nearby Bridgewater, NH. Besides teaching and writing about mathematics, his interests include golf, tennis, and the Red Sox.